Chambliss, strives to provide his pediatric patients with exceptional dental care. Our practice wishes nothing more than a lifetime of excellent dental health for our young patients. We help them achieve this by offering a wide range of pediatric dentistry services and ongoing education. Our top priority is educating and putting kids on the right path to proper oral hygiene by teaching them how to brush and floss properly and stressing the importance of regular dental checkups. Most often, cavities develop in children’s mouths on the chewing surfaces of the back teeth. This is because these tooth surfaces are not smooth like other areas of the teeth. With many tiny grooves called “pits and fissures” on the surfaces of back teeth, food particles and bacteria easily become trapped. Even if your child brushes well, it is very difficult and even impossible reach all the way into these dark, moist crevices with a toothbrush. Instead of the bristles reaching into those fissures, it merely glides along the tooth surface instead. This allows food and bacteria to build up in these crevices, putting your child in danger of developing tooth decay. Fluoride is a naturally-occurring mineral present in all water sources that helps fight tooth decay by strengthening enamel. Children get fluoride from drinking water, toothpastes and from fluoride treatments they receive at our office. However, it is challenging to get fluoride into those tooth crevices on a regular basis. This problem can be resolved by having dental sealants applied to the teeth. Dental sealants are transparent plastic resin coatings that are quickly and easily applied to the teeth to fill all those little grooves on the teeth. This helps smooth out the chewing surfaces on the back teeth to make them decay-resistant. A sealed tooth is far less likely to develop a cavity to help your child avoid pain and the need for more costly dental treatment later on. The application of a dental sealant is fast, easy, painless and comfortable. It requires just one appointment. Your child’s Pelham dentist starts by examining the teeth to check for minimal decay. If decay is found, it will be removed. Then the dentist prepares the teeth by cleaning and drying them. A solution is then applied to the teeth, which will help roughen the surfaces to make the sealing material adhere better. The teeth are then rinsed and dried again. 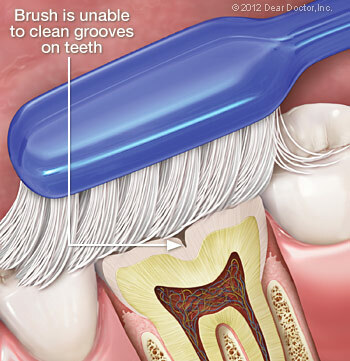 The sealant is then brushed onto the teeth in liquid form wherein it flows into the grooves and crevice. The sealant is then allowed to harden or is hardened using a special curing light. A study conducted a few years ago received a great deal of press coverage, raising concerns that trace amounts of the chemical bisphenol-A or BPA that is found in some dental resins may contribute to behavorial problems in children. But the study failed to prove that BPA found in dental sealants causes these problems. There is far more BPA in many packaged foods and drinks that what is present in dental sealants. Both the American Academy of Pediatric Dentistry (AAPD) and the American Dental Association (ADA) has since reaffirmed their support for the use of dental sealants. If you have any questions regarding this issue, don’t hesitate to conduct us as we’re always happy to speak with you. 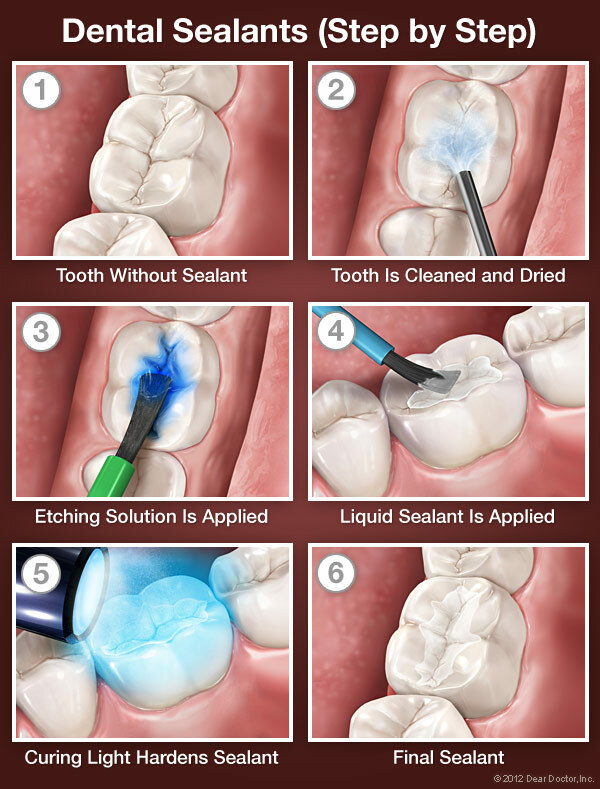 Caring For Sealants Is Simple! Caring for dental sealants is easy as your child only needs to brush and floss his or her teeth well every day and visit us for regular checkups and professional cleanings. At these appointments, we will check for wear and tear of the sealants which should last for up to 10 years. During these years, your child will benefit from dental sealants which have been proven to reduce decay by more than 70 percent. 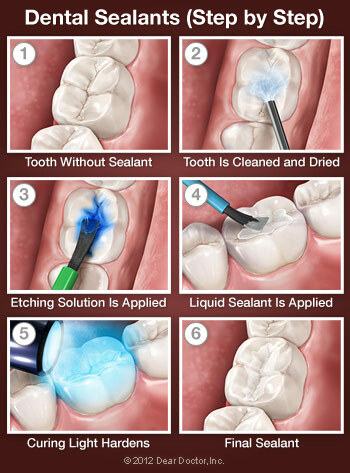 If you have any questions about dental sealants, please don’t hesitate to contact us as we are always here to help! If you’d like to schedule an appointment so Dr. Chambliss can help your child avoid getting tooth decay, please complete the Appointment Request form. One of our friendly team members will then contact you to confirm your appointment.